On Monday 3 December we saw the successful launch and subsequent deployment into a Low Earth Sun Synchronous Orbit of the 10 satellites manifested on ISILaunch20 mission of Innovative Space Logistics (ISL), the launch service subsidiary of ISIS – Innovative Solutions In Space. 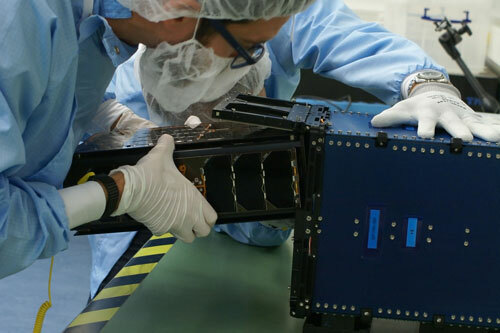 These 10 CubeSats ranged in size from 1U to 6U and originated from eight different nationalities; ITASAT from Brazil, Suomi100 from Finland, MOVE-II from Germany, JY1SAT from Jordan, Al-Farabi-2 from Kazakhstan, HIBER-2 from the Netherlands, PW-Sat2 from Poland and SNUSAT-2, VisionCube and Snuglite from South Korea. In the early morning (local time), the Falcon 9 launch vehicle rose from its seaside launch pad at Vandenberg Airforce Base in California, USA and reached its intended Sun Synchronous Orbit as planned. Being part of an elaborate sequence of payload deployments on the SSO-A Spaceflight mission, the first satellite of this ISILaunch20 manifest was injected into its orbit almost three hours after launch, while it lasted two more hours for the last one. All these satellites used the highly reliable ISIS developed QuadPack deployer system to be launched and deployed from the US launch vehicle. Worthwhile to note is that several of the 10 satellites had been re-manifested from other, earlier launch opportunities that got delayed, showcasing the flexibility and benefit ISL can offer its customers through having launches booked on a variety of launch vehicles over time. This launch also marked the memorable moment of launching the 300th (!) CubeSat customer satellite into orbit as part of an ISL managed launch campaign. Furthermore, this launch is the 10th launch on which ISL managed the vast majority of payloads! Both records that make us proud and grateful towards our customers that trust us for our services.